View More In Lamp Shades. 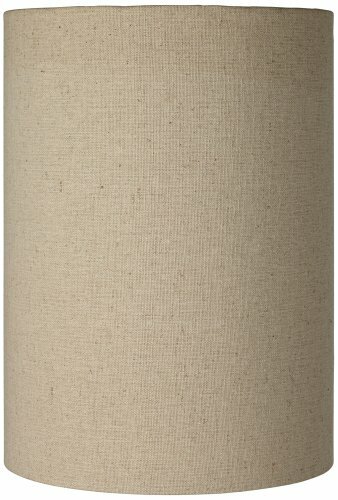 Add a crisp, modern touch to your lighting with this impressive cylinder shade. The design features a tan cotton blend exterior with a chrome finish spider fitting. - 8" across the top x 8" across the bottom x 11" high. - Chrome finish spider fitting with a 2 1/2" drop. - Cylinder shape shade by the Brentwood Collection. - Tan cotton blend material, unlined inside. - The correct size harp and a finial are included free with this shade. 8" across the top x 8" across the bottom x 11" high. Chrome finish spider fitting with a 2 1/2" drop. Cylinder shape shade by the Brentwood Collection. Tan cotton blend material, unlined inside.